Located on the first floor of the historical building on the Quai de l’Ile in Geneva, the exhibition features timepieces selected from the more than 1,300 objects composing the Vacheron Constantin private museum collection. Their common denominator is their ability to guarantee a reliable reading of time despite the constraints of travel relating to conquering the world. The visit symbolically opens with François Constantin’s 1840 trunk and a marine chronometer symbolising navigating instruments and serving as a reminder that this spirit of travel is profoundly anchored at the very heart of the company philosophy. A “wallet” alarm clock, along with handbag, shutter and lighter watches: as a loyal travelling companion, timepieces were capable of concealing time so as to protect it from the gruelling conditions involved in transport back in the day. 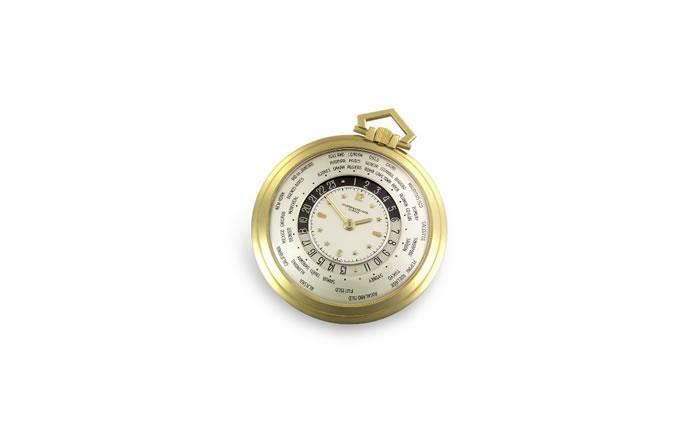 In the course of the 20th century, the displays as well as the mechanisms adapted to needs while offering a multitude of indications, such as dual-time and worldtime functions. Numerals and hands were luminescent-coated to ensure readability even in the dark, as notably illustrated on the 1918 Corps of Engineers USA pocket watch. Protecting mechanisms against magnetism, humidity and dust has always represented a major challenge. In 1885, the Maison created a first model designed to resist magnetic disturbances by incorporating components in palladium, gold and bronze. In 1895, it mentioned a first “hermetically sealed” stainless steel watch. In 1933, Vacheron Constantin developed a wristwatch equipped with a screw-lock case-back and bezel guaranteeing resistance to both water and pressure, and which inspired the 22 and Overseas watches. The beginnings of so-called “sports” watches began to take shape. In response to ever more specific needs, Vacheron Constantin introduced the imposing aviator’s watch in 1903 that was strapped to a pilot’s thigh; as well as the distinctively styled Driver watches in 1939 that were worn on the side of the wrist to facilitate read-off by the wearer at the wheel. The “sports” watch truly emerged with the late 19th century boom in steel and the successive inventions of rustless steel, staybrite steel and stainless steel in the early 20th century. Several iconic models featuring ratcheted bezels and metal bracelets illustrate this steady progress, from the 1930s to the 1970s, such as the Chronomètre Royal presented in 1975 and the 222 released in 1977 to mark the 222nd anniversary of the Maison. The exhibition closes with the Overseas, which has become a reference model and of which Vacheron Constantin is introducing a new version in 2016, complete with a range of new calibers and a design radiating a casual elegance entirely in tune with the 21st century spirit of travel.